Ranplan Wireless has announced the availability of Ranplan Professional 5.0, the latest release of its all-in-one, heterogeneous network planning, optimization and simulation tool for Small Cell, DAS and WiFi networks, for both in-building and combined indoor and dense urban outdoor environments. Ranplan Professional 5.0 showcases 5G support, new innovative network design features, advanced modelling capabilities, and new usability improvements to increase user productivity. The new Ranplan Professional tool will improve design productivity and efficiency, leading to significantly reduced project timescales and cost with its unique SmartLayout and Virtual DAS features. 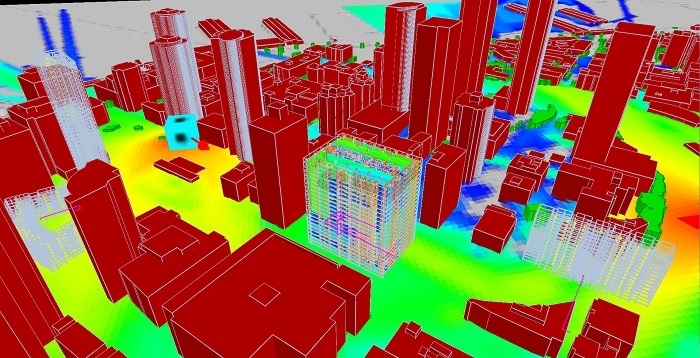 Virtual DAS allows the designer to rapidly create predictions prior to designing the network in detail. This software has been developed with the end user in mind. The new release delivers usability improvements, including: new CAD exporting, elevator design, cross-floor points improvements, support to hide devices and cables, group auto-numbering, multi-material replacement and flexibility for moving devices, along with the calculation of all predictions simultaneously and configuration of propagation parameters. Click here to learn more.